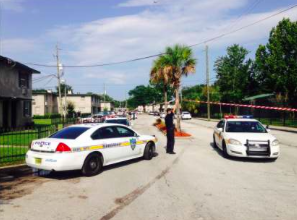 A man was shot and injured outside the Roosevelt Gardens Apartments in Jacksonville Thursday, July 16, 2015. According to The Florida Times-Union, the victim was shot in the back while walking along the sidewalk in the Roosevelt Gardens apartment complex, shortly before 4:00pm. The victim was transported to the hospital by a neighbor. Police are still searching for two suspects in connection with the shooting, once again leaving residents concerned for the safety of their families. The shooting is apparently the fourth to occur on property in the last four months and the fifth since May 2014, per media reports. The Murray Law Firm is questioning whether the alleged history of criminal activity on property is indicative of a potential pattern of security negligence and whether security measures were undertaken following the previous shootings to protect residents and deter such violence. How did the two suspects gain entry to the property? What access-controls, such as gated entry, fencing, security patrols, and surveillance cameras, were in place and working at the time of the shooting? What additional security precautions, if any, were implemented by the Roosevelt Gardens owner and management company following the reported prior criminal activity on property? Generally, apartment owners are required to protect all residents and guests legally on premises from any foreseeable harm. Should the facts of this matter reveal that the Roosevelt Gardens owner or management company failed to provide adequate security to protect residents, the victim may elect to pursue a legal claim for his injuries. Under such a claim, the victim may be entitled to substantial monetary compensation for: pain and suffering; past and future medical expenses; disfigurement; and emotional distress. Given the complexities of pursuing such a potential case, it is imperative that the victim immediately retain an experienced attorney who can ensure the preservation of any and all evidence that may support such a claim. Based upon its prior experience in handling apartment security negligence claims, The Murray Law Firm suggests that photographs and a through, unbiased inspection of the property will need to be performed immediately, before any evidence may be repaired, damaged or destroyed.